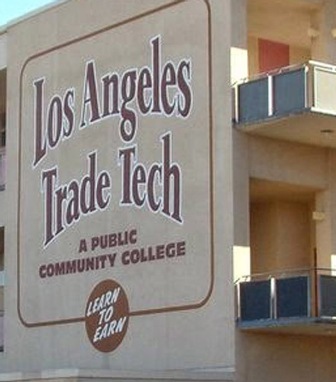 A pilot program that Los Angeles Trade-Technical College launched last year to help students brush up on basic arithmetic skills before easing into intermediate algebra has sparked a campus uproar — and an internal investigation into grade fraud, it was reported Friday. Administrators were desperate for new ideas to help some of the city’s most underprepared students gain the math skills needed to earn a degree or transfer to a four-year university, the Los Angeles Times reported. Only 8 percent of first-time students in 2014-15 completed a transfer-level math course within two years. The internal investigation has found that the college falsified the grades of several students to give them credit for intermediate algebra, which is required for an associate degree, The Times reported. No evidence was provided to prove that some students who received credit last year actually took the required exit exam, according to a May 31 memo by Arnold Blanshard, the internal audit director of the Los Angeles Commun­ity College District, The times reported. The memo, obtained by the Times, also said the signature of the math department head was falsified on the final grade form and that other procedures were violated. L.A. Trade-Tech President Laur­ence Frank criticized the auditor’s findings as “highly inaccurate,” saying they were preliminary and incomplete. The controversy, The Times reported, underscores the challenges of charting new paths to address a problem that has stymied two-year colleges across the state for decades: an overwhelming number of students can't demonstrate the math skills required for an associate degree or transfer to Cal State or the University of California. Among nearly 171,000 community college students who took their first remedial math course six years ago, more than 110,000 have still failed to meet the requirement, according to state data. That roadblock has kicked up a fierce and growing debate over whether the state should continue to require intermediate algebra — the long-held gold standard for entry into a four-year college — for associate degrees in all majors, The Times reported.